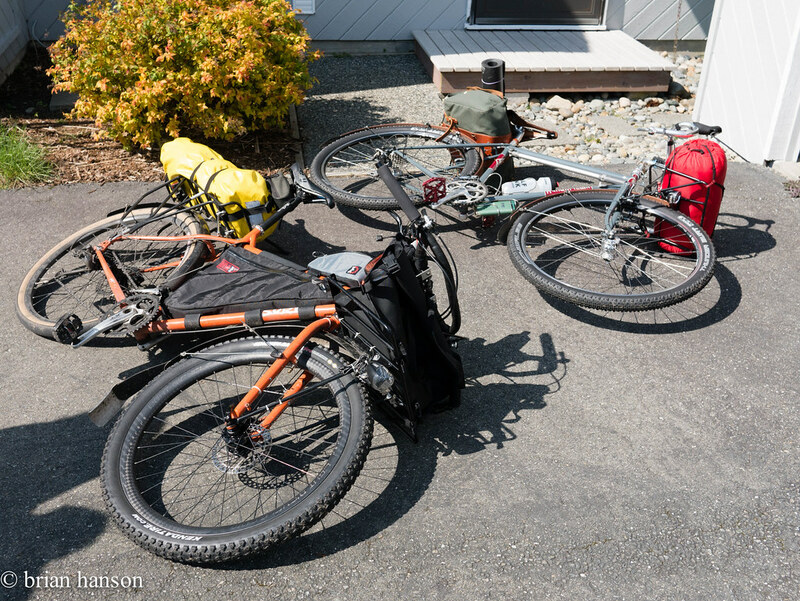 I’ve been planning to do the Oregon Outback ride this year with a friend, and yesterday was our first trial ride with our camp bikes. 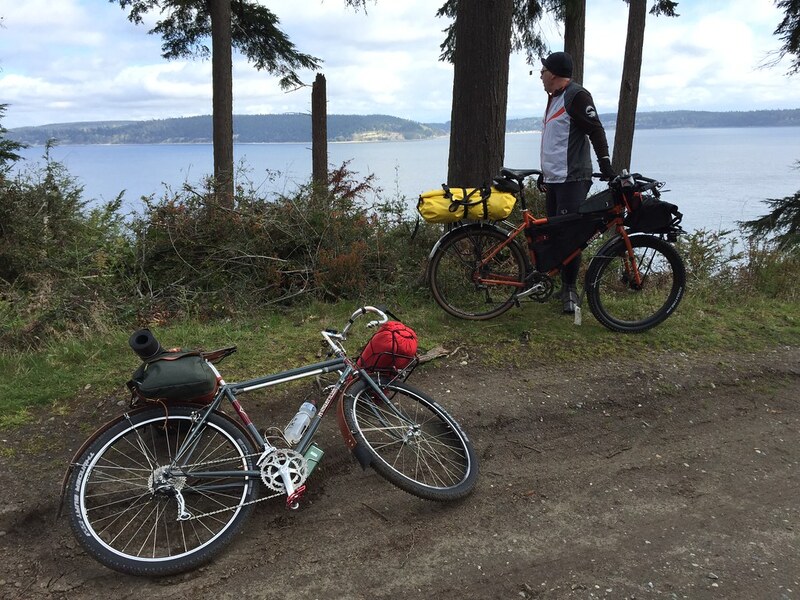 We did the 26-mile mostly paved ride I had done on my rando bike a few weeks ago. There is a short stretch of gravel, so it allowed us a bit of feel for the twisty dirt roads, but this was mainly an equipment shakedown. 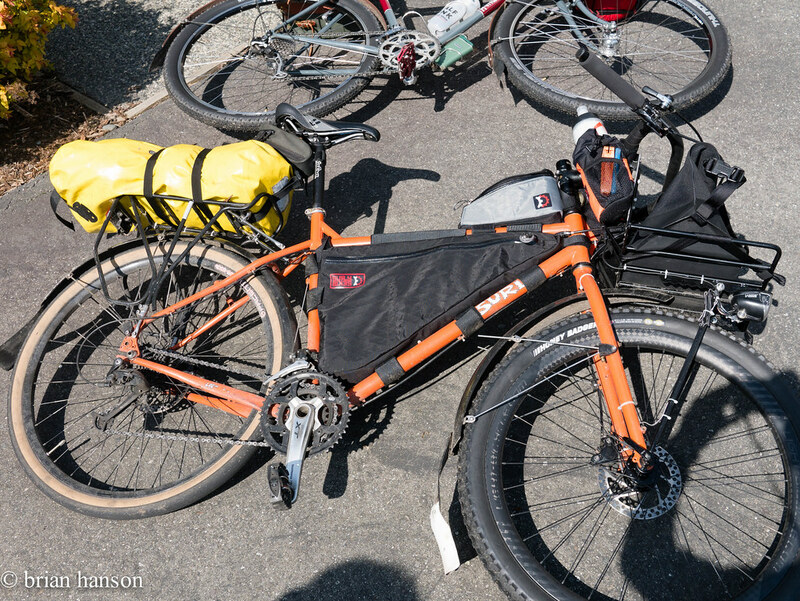 We loaded up his Troll and my Mammoth with some bulk, but not a full level of kit. 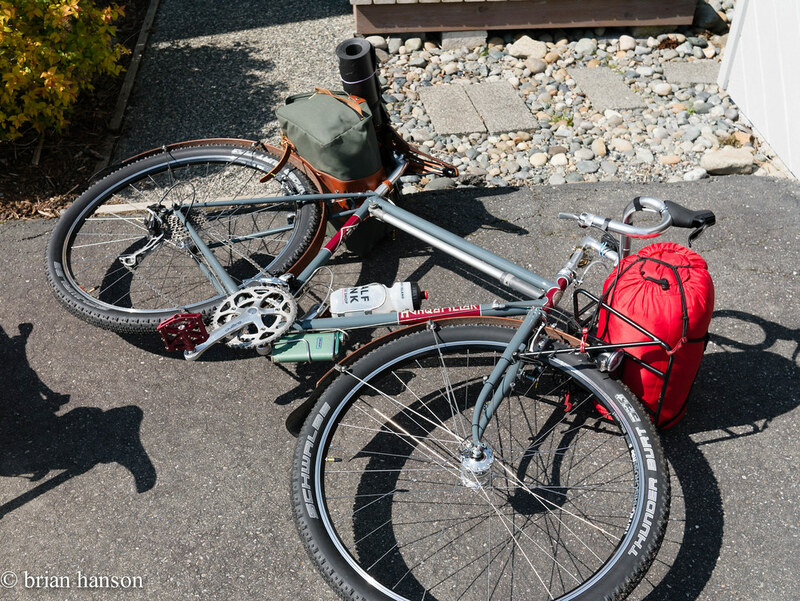 I had the hammock, sleeping bag, and stove, and John had a front bag, frame bag, and a full Ortlieb dry bag. All in, my bike was probably 10+ lbs heavier than my last ride on this loop. I can’t wait for this trip! I’ll be watching to see how this ride goes for you guys. Following your prep and plans with interest and envy. Have a great time!